Recently I bought a YU Yuphoria and without much distraction here, Just read its review. I also uploaded a video of YU Yuphoria: Unboxing, be sure to check it out. The design of YU Yuphoria is quite impressive and it does manages to give a premium feel. The rear cover is made up of plastic & rubber and is removable. The rounded frame gives a good grip on the phone, complemented by the matte finish on the rear. It is available in 2 variants Buffed Steel with black cover and Champagne Gold with white cover. I bought the Buffed Steel version. The front comes with a 5 inch display with thick bezels on the top and bottom, and YU Logo at the top which further contributes to premium design and feel. On the top, there’s a 3.5 mm audio jack and at the base there’s a micro USB port, which can be used for charging or data transfer. There are 3 buttons, all on the right side of the phone. The power button is in between the volume rocker. Although it’s an unconventional arrangement, but it’s quite handy. At the back side of the Phone, the camera is situated in the mid position, with a metallic ring surrounding it, which can confuse you for a ringed flash but the flash is only a small portion. At the base, there is a grill which have the speakers under them. There’s also a YU branding on top of the speaker grill. The 3 buttons are on-screen and are thus customizable, that is, you can add, edit or remove those buttons, which I feel is great. The display is protected with a Corning Gorilla Glass 3. The display sports a pixel density of about 294 ppi, although every benchmark results shows a ppi at about 320, which could be an error on the sensor’s part. The phone also have great viewing angles and no distortion of colour is visible. As per my experience, watching movies on Yuphoria was a pleasant experience. The YU Yuphoria houses a Qualcomm Snapdragon 410 MSM8916 system on chip which has 64-bit 1.2GHz Quad Core processor Cortex A53 with Adreno 306 GPU, along with a 2GB RAM. The chipset is the same as ones that can be seen on Lenovo A6000, Motorola Moto E4G, Xiaomi Redmi 2, and Huawei Honor 4X as well, but, except Yuphoria & Honor 4X all others come with only 1GB of RAM. It also offers 16GB storage, out of which 10.56GB is available to users to store data. Usually in a 16 GB Internal memory, 11.8 GB is available, but it seems like the customizations provided by Cyanogenmod have eaten about a gig of space more in Yuphoria. But as opposed to many other flagship phones, Yuphoria does support micro SD of up to 32 GB, which can give you a total of 48 GB of storage. Here is a screenshot showcasing a number of sensors. This screenshot was taken from CPU-Z App. It supports Multi touch up to 5 fingers, although the majority of apps don’t require more than 2 fingers. It measures 8.2 mm thick and weighs about 142 grams. It is 142 mm long and 73 mm wide. It have ~66.3% screen-to-body ratio. Yuphoria is a dual SIM phone, in which both the slots support 4G LTE SIM card. But it supports Micro SIM only. It seems it is a future proof phone regarding 4G networks. The Phone App supports TrueCaller and TrueDialer integration. There are also dual mics for noise cancellation. An 8 MegaPixel Camera, graces the rear side with an f/2.2 aperture and an LED flash unit whereas the front-facing camera is a 5 MegaPixel camera. The 8 MP camera comes with a OmniVision OV8865 sensor and with an 86 degree wide-angle lens. It can easily capture high quality videos at 1080p. The Cyanogen OS offers various customizable camera controls like size, quality, shutter speed, focus duration, focus mode, and ISO, among others. Vertical swipe changes scene mode and horizontal swipe lets you browser pictures and videos previously shot. The app offers Slow motion video recording (Time Lapse), Panorama, Burst and HDR modes. The video camera also includes a pause button, which pleased me a lot. Many high-end phones don’t have this small feature. I suggest get the Google Camera app from Play Store, which allows to take Photo Spheres as well. If you are not aware of Photo Sphere have to capability to take 360 degree photograph which you can show anyone on your phone itself. Scroll to the bottom of the post to check out the Yuphoria’s Camera’s photography. The device is powered by a removable Lithium Ion 2230 mAh battery. It takes about only 2 hours to fully charge the phone using its AC adapter. The battery life is nice, I wouldn’t say too good. On a full charge, the battery lasted about a bit more than a day, with moderate to heavy usage. I left location services and cellular data switched on for the whole time, occasionally using WiFi as well. I used a number of different apps like WhatsApp, Telegram etc. Also did gaming like, Leo’s Fortune for an hour and a couple of races in Asphalt 8. But I expected it to last more as earlier I used an iPhone 4S with only 1432 mAh battery which on full charge lasted about 20 hours. So, the battery life is nice but not too good. Yuphoria comes with an Android 5.0.2 Lollipop in the form of CyanogenMod 12 ROM. The USP or the best part of this phone is its customizability, and thanks to Cyanogen, which offers multiple ways to customize it. AudioFX lets you customize the audio output. It can’t be removed. ScreenCast lets you record your on-screen navigations with the recording. It also registers where you’ve touched the screen as well. It can’t be removed as well. YUniverse is the phone’s own browser which is basically a customized version of Opera browser. It can be permanently removed. In case you have uninstalled it and want to use it again, download YUniverse from here. Baton is an app which helps you share apps between different Android devices. I prefer SHAREit app for this purpose. It is removable. In case you have uninstalled it and want to use it again, download Baton from here. TrueDialler integration is available if you use TrueCaller. It is removable. In case you have uninstalled it and want to use it again, download TrueCaller from here. Some Google Apps are obviously pre-installed, which are Google Calender, Google Chrome, Google Drive, GMail, Google, Google Settings, Google Plus, Google Hangouts, Google Maps, Google News & Weather, Google Photos, Google Play Books, Google Play Games, Google Play Movies & TV Shows, Google Play Music, Google Play Newsstand, Google Play Store, Google Voice Search, YouTube. None of which are removable. Other native apps include a Calculator, Camera, Clock, Contacts, Downloads, Cyanogen Email, File Manager, FM Radio, Gallery, Messaging, Phone, SIM Toolkit, Sound recorder. Yuphoria sports a new Themer feature, which lets you customize the fonts and wallpapers from different themes and make your own custom theme. You can use this to customize almost any app. To use it, go to Settings > Themes > App Themer. You will get a floating widget with a paintbrush icon. Open any app like Settings, tap on the widget, and choose a theme. The theme will be applied. See screenshots Gallery for Themer. The software offers a high level of customization and lets you tweak the lock screen, status bar and notifications panel as per your liking. You can choose to enable direct access to the quick settings panel by pulling the right edge. You can also choose program navigation buttons to perform different actions. For instance, you can make the volume rocker keys wake up the device. This is just the tip of the iceberg and the phone offers customization at every level thanks to the OS. It’s also one of the cheapest phones to offer double tap to wake and tap to sleep screen gesture. Privacy Guard is a built-in privacy management tool available in CyanogenMod, which aims to help you control the privacy and security of apps installed on your device. You can set preferences for each and every app installed. 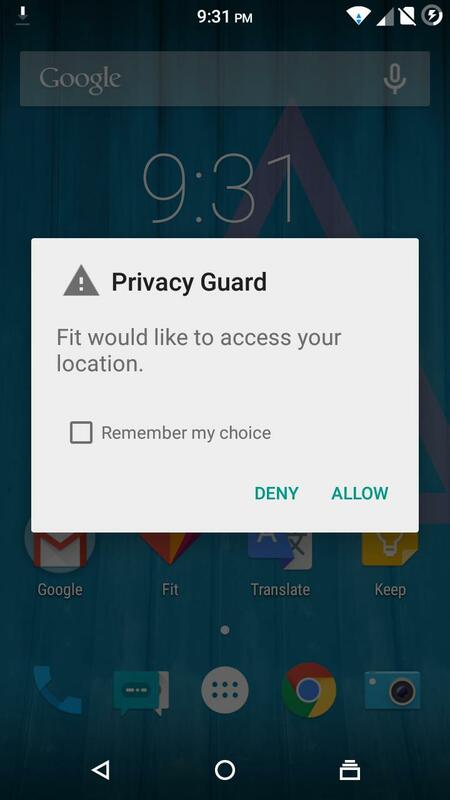 To enable Privacy Guard, go to Settings > Privacy > Privacy Guard. Enable it if it is not enabled by default. You can also select specific apps to be Guarded from, by tapping the lock icon beside that app. iDevice users must be familiar with these permissions. For a budget phone like Yuphoria, 2GB of RAM is more than sufficient. In terms of benchmarks, the numbers were quite good. The phone didn’t lag a single time in usage of over 5 days. Unlike what we expected, the Phone is assembled in China and not in India. The phone is not pre-rooted as many were expecting but supports rooting.That is, you would not void its warranty if you root your YU Yuphoria. I do not intent to root this device right now since primary reason for rooting is to add a Custom ROM, but Yuphoria comes with the Cyanogenmod out of the box. Though I do intend to root when necessary. – says Swapnil, a happy Yuphoria owner. Even after removing the plug, it may show charging for a small time. When I tried to run a movie, the phone rebooted. Later, I realized that the movie file was corrupted, but still, a reboot is too much. The back cover is hard to use, and it takes a considerable time in properly opening or closing the cover. There is no Notification LED, which may arouse some criticism. There is no OTG support as well. These 2 could have been valuable additions to the phone’s already overwhelming assets. Yes, it does get heated sometimes, but don’t follow the rumors, The rubberized back and the insulated metallic frame don’t allow the heat to burn you or something like that. If you want a good Android smart phone in low-budget then its one of the best phones to get. Though you won’t be able to boast in front of your friends, since no phone comes under 7k, which you can boast of. “The Yuphoria makes for a good first smart phone, a good built premium feel smart phone, a good gift, a great new Android phone if you are replacing something in this price bracket, or even a second phone to already have a special device. The Yuphoria will not impress the true geeks, the power-hungry or even the benchmark crazy. The Camera is good, the battery is good and phone call capabilities are excellent. Cyanogen makes for the best experience of “Raw Android,” and the Yuphoria gives it at a mighty impressive price tag. Isn’t the phone just adorable? Click to view YU Yuphoria: Pictures. These are purely camera’s photography with no software used for enhancement. Click to view YU Yuphoria: Camera Pictures. 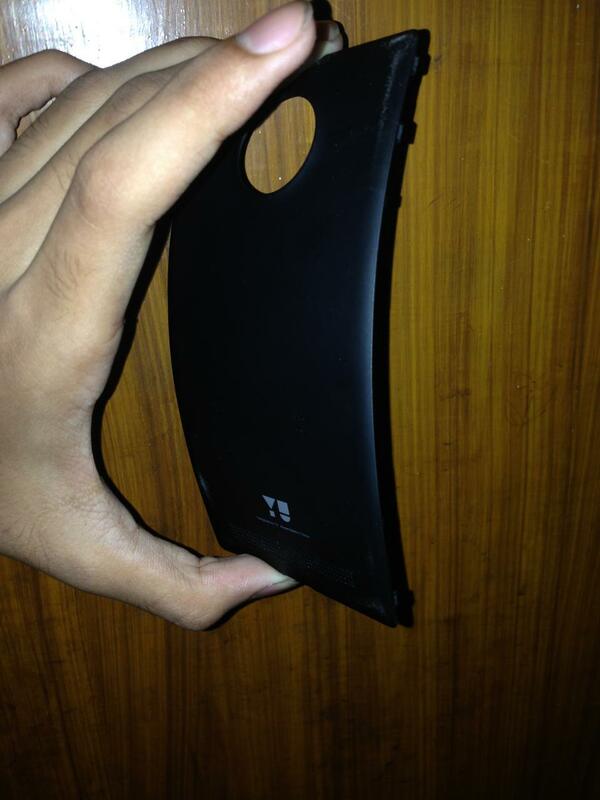 Image source – Swapnil’s new Micromax YU Yuphoria.